Ruthie here with Arizona Oriental & Specialty Rug Care in Prescott AZ and something that I see ALL THE TIME in magazines is beautifully furnished rooms with gorgeous area rugs as the center piece. This rug ties everything together and really gives a great look to the whole room. But nine times out of ten, the rug is white or at least a very light color. Great idea! In theory anyway…. In practice, having a light-colored area rug as the centerpiece to your home may not be the best idea. Of course, this depends mainly on where the rug is located in your home. Light-colored rugs work great for rooms that you are seldom in (like a guest bedroom for instance). 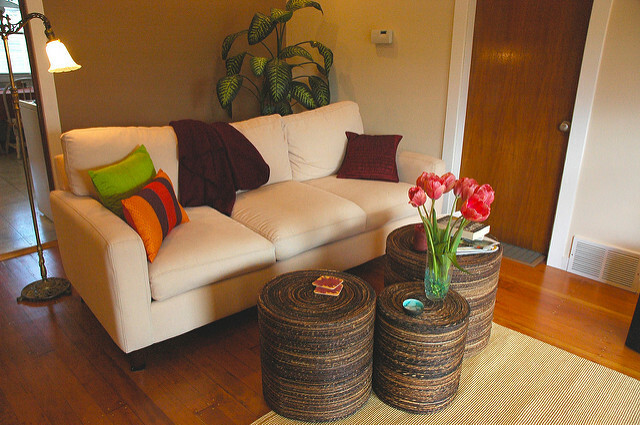 Light-colored rugs seem like they attract soil way more than rugs with busy patterns or deeper colors. This isn’t the case, of course, but they do show soil more than their darker-colored counterparts. Which can be a real problem in higher traffic areas of the home like in the kitchen or hallway or even the family room. Area rugs act like filters for our homes and collect everything from dry soil on our shoes to dust and other microscopic allergens. They can also sometimes be subject to pet accidents, which also presents a problem if your rug is a light color. Urine stains can be a real eyesore and sometimes be permanent. If you have an animal in the home that tends to have accidents on your area rugs, you may want to rethink your light colored area rug. Light colored rugs can certainly look nice, but keep in mind that they also require deep cleaning more often to keep them looking bright and fresh. We at Arizona Oriental & Specialty Rug Care know that it can be difficult finding the perfect area rug that both looks great and complements the rest of our homes. If you do have a light colored area rug, we’re here to help with your cleaning needs! We also carry great at-home spotting kits so that you have everything you need to be prepared when the next emergency accident happens!